We are providing turnkey services ,The turnkey solutions on architectural and interior designing offered to clients have been appreciated worldwide. We provide the best designing solutions to clients, which are based on changing trends in the industry. 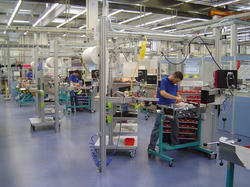 The turnkey solutions are provided in the shortest time intervals to clients and the most reasonable prices. We take care of everything, right from deciding the color of the wall to the selection of furniture for our clients to provide an amazing look to the place. To furnish the diverse requirements of our clients in the best possible manner we are involved in offering an extensive range ofPlant Automation And Product Line Automation. 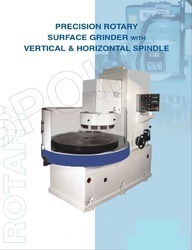 This series features our Rotary Table Vertical Spindle Grinder with specialized Magnetic Bed which enables single pass continuous grinding. These machines are most suitable for grinding flat surface to contact thickness on a continuous basis without stopping the machine for loading and unloading. Te specially designed magnet ensures that the magnet is energized only when the component is below the grinding wheel. These machines are particularly suitable for Mass Scale Precison Grinding of small component like washers, Circlips, Spacers, Bearing Cups, Gears, E-cores etc. Looking for Turnkey Services ?